The artist and commercial graphic designer Aarne Nopsanen studied at the Viipuri Friends of Art Drawing School from 1924 until 1925. He continued his studies at the Finnish Art Society’s Drawing School in Helsinki from 1928 until 1930, and then travelled to Paris for one year’s study at Académie Colarossi. Besides working with commercial graphic design, Nopsanen also participated actively in a number of art exhibitions in Finland and abroad. In addition to this, he was an esteemed portrait painter. In the 1930s, Aarne Nopsanen began to draw comic strips, for instance, the Antti Puuhaara comics, written by Raul Roine. Aarne Nopsanen had already begun his career within the advertising industry when he was a student, working at the advertising agency Ilmoituskeskus (later Ilmo). In 1933, he was employed by Erva-Latvala Oy, where he stayed for five years before quitting in the autumn of 1938. He had come to believe that he would be better paid as a freelance graphic designer. When war broke out again in 1941, Nopsanen, like many others within the advertising business, joined the propaganda unit of the Armed Forces. He became a war artist and created, among other things, a series of a hundred excellent drawings from the city of Viipuri. After the war, the intention was to publish the Viipuri drawings in book format. At the last moment, however, the Armed Forces did not consent to their publication. The drawings had to wait for forty years before they were published in book form in 1986. 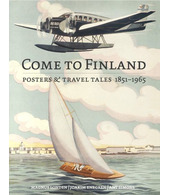 During the war, Arne Nopsanen also drew a large number of postcards. He designed several postcards featuring Sergeant Ryhmy, a popular figure in a novel written by Nopsanen’s friend Armas J. Pulla.